According to a new report by the Socialbakers only 5% of posts on brand pages on Facebook ever get answered. 95% of the posts are left unanswered. The biggest culprits are FMCG and Media companies. The best respondents turn out to be Airlines and Telecommunications. Obviously these are part of the services industry and rely on their customer service as a differentiator. For more on the article please click here. Why is this happening? Why are brands afraid to engage their customers on a social platform like Facebook? I did some analysis and figured out there are three common reasons why this happens. Brands and brand leaders are very conscious of control. They want to control their brand image and what is being said about them. 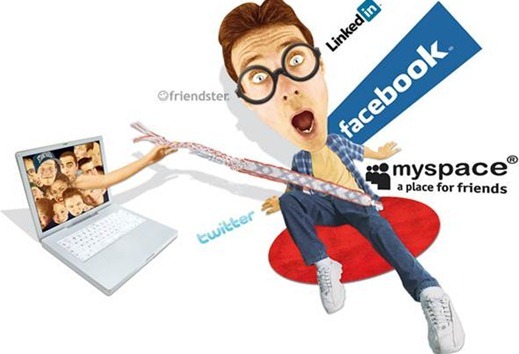 Social Media on the other hand is the loss of control. Once they respond, it is very uncertain how their response be interpreted, hence they feel it is better off to be unresponsive. Often brands end up on Facebook or other social media sites without having planned the roadmap or guidelines. They often see others (read competitors) on such platforms and they jump into the bandwagon themselves. This creates confusion as not all the brand leaders want to respond or engage, in the discussion. Most brand leaders are trained in the traditional marketing methods. They often lack the training of how to engage in the social media world. A common fallacy is to let the discussion continue among prospects without any contribution from the brand. I personally feel by not participating, the brands lose a very valuable tool to engage their customers. There is a lot of clutter in the market place and social platforms help brands to communicate directly and cut out the noise. But unresponsiveness could be mistaken for brand arrogance and hence a loss of brand equity. I feel if they intend to just not communicate it is better to take down the page and comeback later when their social media maturity quotient increases. But without the maturity and a road map, this could have bad consequences and hence most brands take the safe route of not responding at all. As I researched for this piece I found some interesting discussions on Virgin Atlantic page on Facebook. This included a question of a famous celebrity dead or alive that Virgin customers would want to find themselves seated with on a Virgin flight. To engage or not to engage that is the ultimate question, and this has to be answered sooner than later. I agree and it is the way social media is built. But at the same time if something negative is being said and it is not true then someone has to respond to it. This is really a useful post for all those marketers out there. Online marketing is a tricky business and even trickier when it comes to managing people. You never know what can go wrong. And negative comments can spread like fire. It’s a never ending world out there. The word spreads from one to another and it never stops. You can never control what’s being said by others. Thus caution needs to be maintained while posting or in a companies policies. Once in the net, you are out there for a toss. You have hit the nail on the head. Somehow I missed this but you have got it spot on. The lack of training is a key reason for the failure of web and social media marketing. I agree with the points you make. I would also extend this to not just social media but the whole spectrum on web based channels that companies are increasingly implementing. For me, I will use these channels to provide feedback or to seek information only to find that the comments disappear. I would add a 4th reason to your current 3. It is the lack of appropriate technology implemented in organizations that can effectively monitor this traffic into the organization. I see too many instances of these channels being established but never monitored effectively. Certainly, on top of effective monitoring, there needs to be a process in place to then communicate effectively.